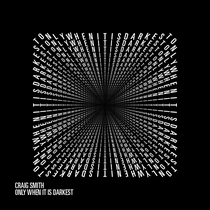 Next week will see the release of Craig Smith’s ‘Only When It Is Darkest’ EP via Teng Records, backed with reworks from Phlash and Fabio Della Torre. 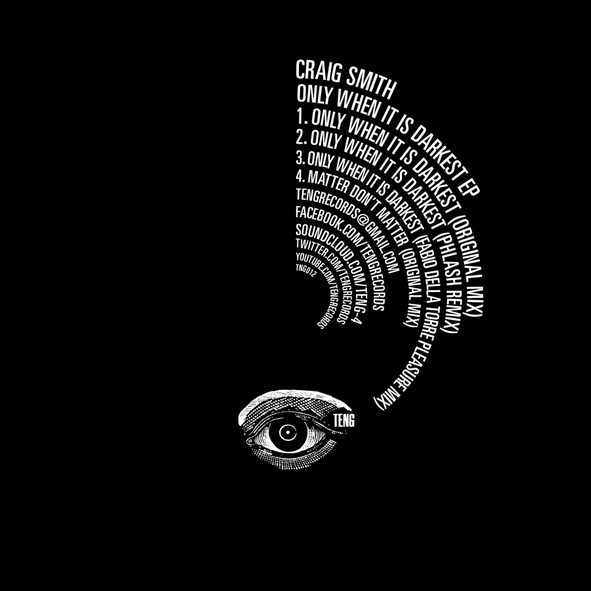 Craig has been involved in electronic music since the early-90s and over the years has earned critical acclaim for his collaborative guise with The Revenge; 6th Borough Project. Smith’s material has been released via imprints such as Delusions Of Grandeur, Permanent Vacation and Use Of Weapons and here he joins the Teng roster, following the likes of Neville Watson, Nubian Mindz and Paul Mac. Opening the single is the original version of title track ‘Only When It Is Darkest’, an understated number built around dreamy melodies, gritty analogue bass, off-kilter rhythms and spoken word vocal lines. The latter stages then sees the melodic elements unfold as Smith works in jazzy piano licks, pizzicato strings and tension building pads. Phil Asher steps up to rework ‘Only When It Is Darkest’ next under his Phlash alias, and as expected from Asher the mix is soul-drenched house music, fuelled by resonant, evolving synth stabs, punchy bass hits and bumpy, swinging beats. Fabio Della Torre, founder of Bosconi Records, delves deep with his interpretation of ‘Only When It Is Darkest’ next, stripping back the percussive aspects to a swirling filtered groove, while the warm, ethereal melodic sounds take the reins and steadily blossom over the compositions seven and a half minutes. Closing the release is another original from Smith, entitled ‘Matter Don’t Matter’, the cut takes on a more organic form this time with natural percussive sounds, soft Rhodes melodies and throbbing low-end tones.